A Columbus priest has been placed on administrative leave after allegations involving the sexual abuse of a minor. 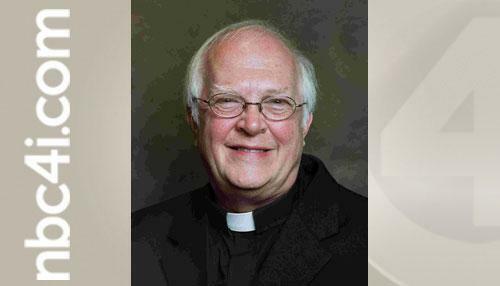 According to the Catholic Diocese of Columbus, Father Ronald J. Atwood, 69, has been placed on leave effective July 16. The Diocese said the investigation involves an accusation of sexual abuse that allegedly occurred during Atwood's tenure at Bishop Ready High School and St. Stephen the Martyr and St. Peter parishes from 1976-1979. The accusation was reported to the chancery office on July 15, and was then reported to Franklin County Children Services. A meeting of the Diocesan Board of Review for the Protection of Children will be convened to determine if the allegation is credible and warrants further investigation. If found credible, information will be forthcoming regarding outreach efforts to be conducted in those places where Father Atwood served in order to determine if other persons wish to come forward and seek help. Father Atwood has been a priest of the Diocese of Columbus since 1969. His assignments have included: Assistant Pastor, St. Aloysius Church, Columbus (1969-1972); Teacher, Bishop Ready High School, Columbus (1969-1977); Associate Pastor, St. Stephen the Martyr Church, Columbus (1977-1978); Associate Pastor, St. Peter Church, Columbus (1978-1982); Pastor, Church of the Ascension, Johnstown (1982-1991); Pastor, St. Thomas the Apostle Church, Columbus (1991-2003); Associate Pastor; St. Joseph Cathedral, Columbus (2003-2004); and Pastor, St. Francis of Assisi Church, Columbus (2004-2013). The Diocese of Columbus encourages anyone who may have experienced sexual abuse by clergy or others associated with the Church to contact the diocesan Victim's Assistance Coordinator at 614-224-2251, 866-448-0217, or at helpisavailable@colsdioc.org, and to notify civil authorities.